The World Trade Organization officially welcomed Russia as a member Friday, bringing the curtain down on the country's 18-year accession process. 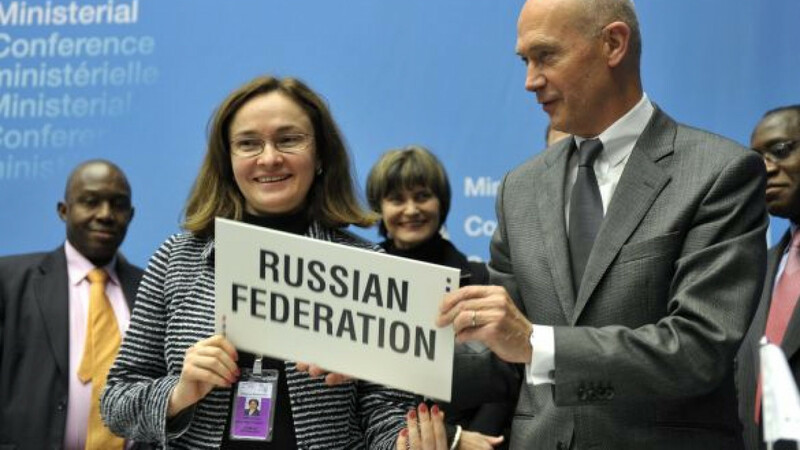 Economic Development Minister Elvira Nabiullina and director general of the WTO Pascal Lamy signed a protocol on Russia's accession at a ceremony in Geneva after the organization's ministerial conference approved documents granting Russia membership in the global trade club. Russia will have 220 days to ratify the documents and will become a full-fledged WTO member 30 days after the ratification. With Russia's accession, the WTO will cover more than 97 percent of world trade, Lamy said at the ceremony. As a WTO member, Russia will push for the implementation of existing rules of global trade and development of new principles of trade between member states to reduce growing risks of protectionism amid the current uncertainty on global markets, Nabiullina said. "Joining the WTO, we are ready to actively fight these risks, so for us, completing the WTO talks is not a finish but a start. … We share the organization's focus on supporting the most vulnerable economies," she told the ministerial conference. President Dmitry Medvedev, who didn't participate in the ceremony, echoed the idea in his address to the conference, saying Russia is prepared to help ensure global economic stability. Nabiullina also said "preserving the status of the WTO as a trade organization" is crucial for Russia, as developing mutual trade could help resolve problems in relationships between countries. "Problems in relationships between countries have always existed and unfortunately will remain. The development of trade can really help solve them," she said. Russia had sought WTO membership for 18 years. The last hurdle on its way to the organization was removed only last month when Russia resolved its dispute with Georgia — which was blocking the country's entry into the organization — over monitoring trade on the borders of Abkhazia and South Ossetia. Medvedev said the country's accession to the WTO "is a result of long, difficult negotiations" that will be beneficial for both Russia and other member states. Russia's entry into the WTO opens up the country's economy of almost $2 trillion to foreign companies and is widely expected to boost the country's economic growth and attract investment. 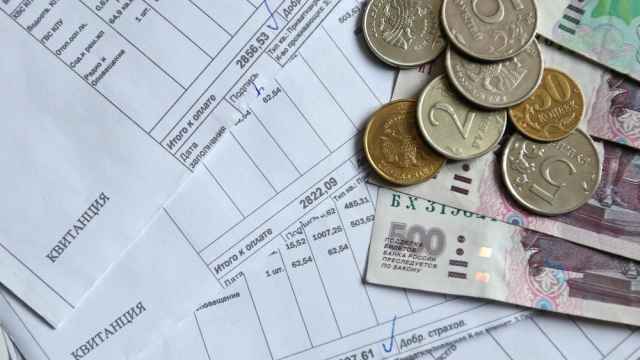 Former Finance Minister Alexei Kudrin, who was invited to attend the conference by Lamy, expects that after accession Russia's economy will grow 3 percent to 4 percent in the next 10 years. "Approximately 0.4 percent a year. It's a serious increase," he said on the sidelines of the conference, Interfax reported. As part of the global trade club, Russia will become a more favorable environment for developing domestic business, which will result in increasing exports, Kudrin said. Applying WTO norms will enable Russia to participate in the global trade process on par with other member states. "This will create a new standard of business development in Russia," Kudrin said. But some domestic entrepreneurs voiced concerns that reducing import duties would result in growing competition in a number of sectors. "There are many questions from business in various areas," the president of Russia's Chamber of Commerce and Industry, Sergei Katyrin, said last week. "We should specify jointly with business the major risks that might arise in some industries and even regions," he told a news conference in Moscow. Katyrin said among those concerned about increasing competition are car makers, aviation industry companies and insurance companies. But Maxim Medvedkov, Russia's top negotiator in the WTO bid, denied concerns, saying Russia would be able to control the volume of imported goods because the WTO allows its new member states to protect domestic manufacturers by limiting imports in vulnerable sectors for five to seven years. "If we feel that we are being choked with imports, we'll intervene. We have that right and special protective mechanisms," he told the Rossia-24 television channel Friday. The country's entry into the trade club will spur economic and investment cooperation between Russia and the United States, U.S. President Barack Obama told Medvedev in a telephone conversation Friday, according to a statement on the Kremlin's web site. "Having confirmed their intention to continue productive and credible dialogue, Dmitry Medvedev and Barack Obama agreed to work jointly and effectively in the future, focusing on further increasing the potential for mutual cooperation," the statement said. But for this to happen, restrictions on the countries' mutual trade must be lifted, with the U.S. Congress expected to decide soon on abolishing the 40-year-old Jackson-Vanik amendment — part of the 1974 Trade Act that prevents the United States from granting Russia permanent normalized trade relations. Obama said last month that his administration started talks with Congress on repealing the amendment so that the country's businesses could enjoy the advantages provided by Russia's membership in the WTO. He reiterated his administration's commitment to push for the amendment's abolishment in the telephone conversation with Medvedev, a White House spokesman said. But efforts to repeal the amendment might face resistance among U.S. lawmakers, as some of them said both the White House and the Russian government will have to persuade congressmen of the sides' mutual interest in Russia's accession to the WTO. 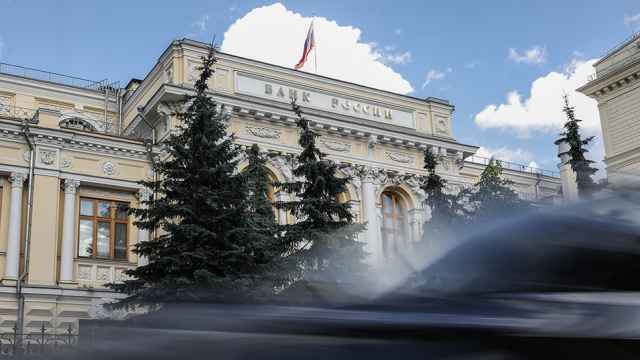 First Deputy Prime Minister Igor Shuvalov said Friday that abolishing the amendment is a matter of a few months. However, the sides made a decision not to apply WTO norms in mutual trade because of U.S. unwillingness to change its legislation, RIA-Novosti reported Friday, citing an unidentified source in the organization. This right is granted to new member states joining the organization by the Marrakech agreement establishing the WTO, but this exception won't work in regard to Russia if Congress repeals the Jackson-Vanik amendment before the country completes ratification of the WTO documents, the source said. Meanwhile U.S. State Secretary Hillary Clinton said last week that Russia's membership in the trade club will allow the United States to push for further reforms in the Russian economy using the mechanisms of the WTO. "The United States worked very hard to make the case that Russia should be a member of the WTO. … Now we have tools, through the WTO, to deal with some of the economic challenges and distortions coming from the Russian economy," she told the PBS television channel. One of the major barriers that long hampered Russia's accession to the WTO was intellectual property violations, with pirated software and DVDs being available in kiosks and marketplaces across the country. Even though the situation seems to have changed for better, concerns remain over protection of intellectual property rights on the Internet, which provides a huge base of counterfeit software, films and music. The share of retail kiosks offering pirated software across the country declined to 23 percent this year from 27 percent in 2010, according to a survey issued by Microsoft last month. Moscow remains one of the biggest markets by volume of pirated software for sale, with 33 percent of retail outlets offering such products, the survey said. The capital's Savyolovsky Market — a huge retail complex that has earned a reputation as a piracy lair — was placed on a list of the world's biggest pirate markets compiled by the U.S. government earlier this year. But when a Moscow Times reporter visited the market Friday afternoon, salespeople in the complex insisted that one wouldn't find a single pirated copy in its kiosks anymore. "Everything has changed drastically. All pirates were removed from the market," said a salesman at a kiosk offering software and computer games, who declined to give his name. The market's administration breaks lease agreements with those selling pirated products, said another, who agreed to speak on condition of anonymity. Meanwhile, piracy continues to thrive outside the market, with a number of kiosks offering illegal software and DVDs just a few hundred meters from the complex. "People can't afford licensed software," said one salesman, showing a copy of the latest version of Microsoft Office that was issued last year. The CD, a licensed copy of which costs 6,500 rubles ($205) at Savyolovsky Market, can be obtained for just 200 rubles there. Business Software Alliance, an international lobby group representing the world's biggest software producers, ranked Russia third last year after the United States and China by commercial value of pirated software, which reached $2.8 billion. The salespeople in the kiosks outside Savyolovsky said they didn't expect any changes after Russia's accession to the WTO. "I don't know what will change," said one of them, adding that the kiosk will continue to operate. 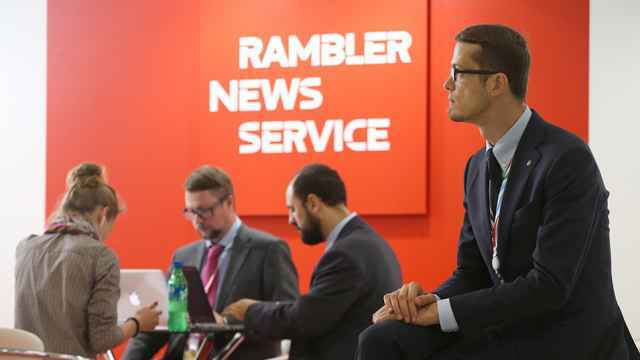 Russia has a sufficient legislative base to protect intellectual property, but its practical implementation remains an issue, lawyers said. The country's accession to the WTO doesn't mean that the situation will change immediately because economic conditions must be created in Russia that would make piracy unprofitable, said Yelena Trusova, a partner in the intellectual property practice at Goltsblat BLP. "The reason for the prosperity of piracy is that pirated goods are still much cheaper than original products. If the price gap between original and pirated goods was 10 percent to 15 percent, these pirate stands … would die by themselves," she said by telephone. However, this is unlikely to fully solve the problem of counterfeit media content and software because their distribution is gradually moving to the Internet, already resulting in losses for pirates, said Oleg Yashin, vice president of Russky Shchit, a nongovernmental organization fighting computer piracy and violations of intellectual property rights on the Internet. Given poor Internet penetration in the regions and the fact that some consumers of illegal content have no computers, demand for pirated DVDs and even cassette tapes remains strong, but there's a distinct trend to move illegal software distribution online, he told The Moscow Times. Yashin said up to 90 percent of illegal software in Russia can be downloaded from the Internet, with the remainder being sold on CDs or loaded onto USB sticks by salespeople. Paradoxically, distribution of illegal software on the Internet affects not only software companies, but pirates selling such software on CDs, as they are seeing a 30 percent to 40 percent decline in sales annually, he said. After Russia's accession to the WTO, the government must continue to combat web sites with domestically located servers that distribute content illegally and "investigate and prosecute companies that illegally distribute objects of copyright or related rights on the Internet," the WTO said on its web site last month. But Yashin said a broader approach is needed. The servers of most domestic file hosting services and trackers are located outside the country, and entering into international cooperation is crucial for Russia to fight Internet piracy, he said. Among the piracy havens on the U.S. government's list along with Savyolovsky Market were torrent tracker Rutracker.org and social network Vkontakte. But Vladislav Tsyplukhin, a spokesman for Vkontakte, insisted that U.S. government representatives had promised to remove the social network from the list after Vkontakte executives explained to them the measures they had taken to protect the rights of copyright holders. The social network entered into agreements with several copyright holders allowing them to delete uploaded illegal content and install their licensed players on the web site, he said by telephone. However, Tsyplukhin said protecting intellectual property rights on social networks is totally the duty of the copyright holders. "We have 100 million users, we can't control who uploads what. It's the task of copyright holders to control whether rights are being violated," he said.